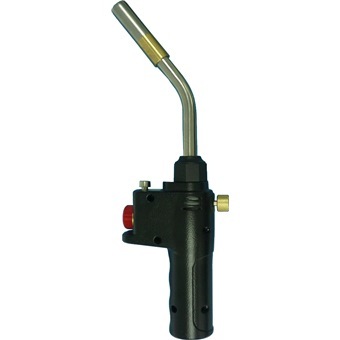 For use with MAPP or Propane gas. Piezo igniter for instant flame. Safety lock feature to prevent accidental ignition. Ignition button lock for continuous use.